Stem Cell Therapy technology has been around for a few decades. Over the past decade, this amazing regenerative technology has been made available to our beloved furry friends. As always, Dr.Lynch carefully scrutinizes any new veterinary technology that comes to the market for safety and efficacy. Stem Cell Therapy had reached a point where Dr. Lynch thought the technology was medically beneficial and useful for our pets. This area of medicine is sometimes referred to as regenerative medicine. Why do we like stem cell therapy? One big reason is that stem cells’ take the bodies’ own cells’ and activates them to target problem areas within your pet. This is drastically different than solely using drugs and/or surgery for treatment. Our growing expertise in this field has led us to see some amazing recoveries from our clients! Once again, we are one of only a few animal hospitals who use this form of treatment in private practice in NY. 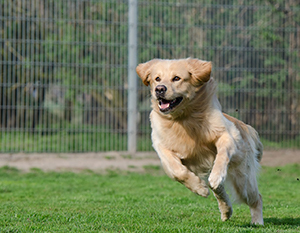 In a recent study overseen by four independent veterinarians, 155 canines suffering from moderate to severe osteoarthritis were treated with MediVet’s stem cell therapy. 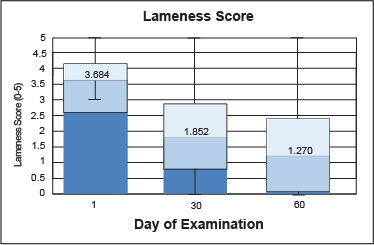 Three months following initial treatment, 99% of the canines showed improvements in at least one of the three categories analyzed: lameness, range of motion and pain (see graphs below). This is just one of the many research studies demonstrating the effectiveness of stem cell therapy for the treatment of a wide range of ailments your pet may be experiencing. Is your Pet a Candidate for Stem Cell Therapy? What happens when my pet comes in for Stem Cell Therapy? A small incision is made to the skin on the belly or behind the shoulder blade to remove the necessary fat tissue. If no further procedures or surgeries are required, your pet is then transferred to recovery. Our MediVet trained technicians then process the fat tissue using our in-house MediVet equipment. After approximately 3 hours of processing, the stem cells are ready for injection directly where needed, as well as intravenously into the blood stream for use as the body determines. When the stem cells are administered, your pet may require a local or very short-duration anesthesia. Your pet may then be picked up and returned home on that same day. If your pet is undergoing anesthesia to remove the fat tissue, you should evaluate the opportunity of having additional needed procedures or surgeries performed at the same time. A dental cleaning or tumor removal would add a small amount of time under anesthesia. If your pet requires major surgery, such as a ligament repair, then simultaneously removing fat tissue for stem cell therapy would add a nominal amount of time, if any, to the surgery and could dramatically improve the results. What is the recovery period, and how long will it take to see results? Stem cells need time to work to regenerate tissues and the muscles need time to improve in tone and strength. While your pet may feel better, you must be careful that your pet doesn’t injure himself or herself before healing is complete. We recommend that the patient be restrained to low activity for the first 10 days and no running, jumping or playing until after the first four weeks. 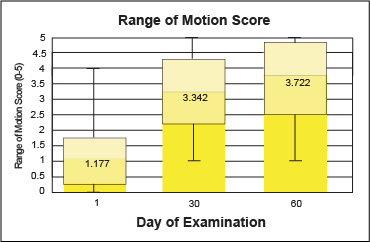 After four weeks, low impact therapies, such as swimming and walking in water, passive range of motion stretching, and cold or warm therapy, are recommended. 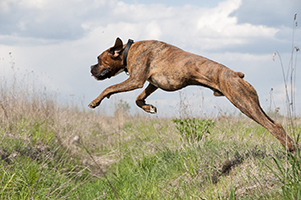 Typically, owners report improvements in range of motion and mobility in three to ten days. Other improvements start to be seen 3 weeks after the procedure and continue for about 2 months. Depending on the extent of the injury, the age of the pet when they first received regenerative stem cell therapy, and rehabilitation, the treatment lasts from one to three years. Periodic simple injections of cryogenically stored stems cells can replenish the supply of stem cells in the body and extend the benefits beyond the initial treatment recovery period. Stem cells are powerful cells that can become any other type of cell that the body needs to heal itself. MediVet’s adult stem cell therapy system allows our veterinarians to isolate and activate stem cells from your pet’s own fat tissue. Those activated stem cells are then injected directly into damaged areas of your pet’s body, and intravenously into the blood stream. Those stem cells then become the muscle, cartilage or bone cells that your pet’s body needs to heal. When stem cells become new tissue cells and replace damaged tissue cells, inflammation and pain is reduced, and your pet’s mobility and quality of life is improved. MediVet reports that stem cell therapy lasts from one to three years after the initial treatment. MediVet also offers cryogenic banking of stem cells. Banking stem cells permits easy follow-up injections to extend the initial benefit period. Cryo-banking also provides the opportunity of processing and storing stem cells for pets in their youth or prime. For pets known to be prone to conditions proven to benefit from stem cell therapy, such as German Shepherd dogs with hip dysplasia, cryo-banking opens up the possibilities of treating pets early before damage becomes severe, possibly preventing or delaying the need for reparative surgery. When banked stem cells are needed, it is a simple matter of retrieval and injection. What conditions does MediVet Stem Cell Therapy treat? 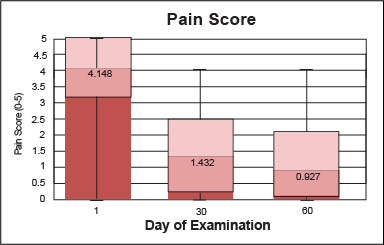 MediVet reports that typical, highly documented, stem cell therapy patients have osteoarthritis (hip dysplasia, degenerative joint disease, calcifications, common degeneration, and inflammation), soft tissue injuries (such as cruciate injuries, tears, ruptures, inflammation), or need accelerated healing of fractures. MediVet has researched the treatment of those conditions extensively and reports that over 95% of those patients improve after receiving MediVet’s Stem Cell Therapy. In cases where medical conditions make treatment difficult or where there are simply no good treatment options, MediVet reports that the Compassionate Use of stem cell therapy has significantly improved the quality of life for those patients and their owners. MediVet reports that the Compassionate Use of stem cell therapy has been effective in improving conditions such as degenerative myelopathy, feline gingivitis, end-stage renal disease, liver and kidney failure, allergy, auto-immune, inflammatory bowel disease, pulmonary fibrosis, immune mediated hemolytic anemia, atopic or inherited allergies, and spine trauma. What are the risks associated with Stem Cell Therapy? The biggest risk associated with stem cell therapy is the normal risk associated with using anesthesia; and that risk varies depending on the health of the pet. The procedure to remove 2 to 4 tablespoons of fat from underneath the skin to process for stem cells can be performed by our veterinarians in about 15 minutes. MediVet reports that thousands of animals treated with stem cell therapy and they have received no reports of negative side effects from using the pet’s own stem cells for his or her stem cell therapy. Are there any conditions for which Stem Cell Therapy is not recommended? Yes. Since the research on stem cell therapy for human cancer patients is inconclusive, we do not recommend stem cell therapy for our pet patients with cancer. We recommend that you research stem cell therapy and look at the research MediVet Biologics presents on its website at MediVetBiologics.com. We would also welcome to opportunity to meet with you to review this therapy option in greater detail and analyze the possible application of stem cell therapy to your pet’s particular medical condition(s).